that can communicate to back office and product warehouses in real-time. TLX Mobility builds cloud-based mobility products to empower employees and customers to execute tasks in the field right at the point-of-work. Using our solutions, enterprises can tangibly improve field staff productivity, enhance and improve digital interactions with customers and reduce operational costs and business process cycle times. The TLX Mobility Platform provides a complete solution for two separate use cases: Sales & Distribution and Digital Lending. Our focus has been to completely automate and mobilize the entire business value chain and ensure that the TLX Mobility Platform can be deployed swiftly while retaining the flexibility to address the specific needs of many different customers. Kashf has transformed its Loan Origination process using TMX. We now have a fully digital process from initial loan application captured by our agents on tablet devices to the final approval of the loan. We selected the TMX platform because of its rich feature set. At Kashf, we have been able to improve our process efficiency with the TMX platform. As a major Nestle distributor, we are transforming field sales operations with TMX-SD. With Android smartphones, our field force now captures and processes orders using a state of the art solution. 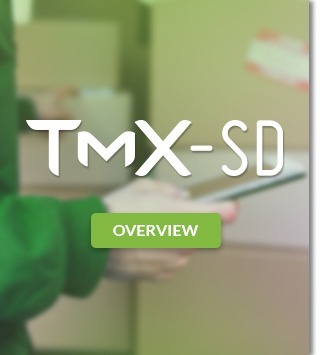 We are currently rolling out TMX-SD across our network of more than 1,000 sales officers. Our ability to capture information accurately and monitor operations across the country is being transformed completely.